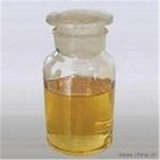 China Omethoate Suppliers, China Omethoate Manufacturers. CHEMICAL NAME:O, O-dimethyl S-methylcarbamoylmethyl phosphorothioate. Colorless to slightly yellowish oil, b.p. ca. 135°C (decomposes when distilled); v.p. 2.5 × 10 -5 mm Hg at 20°C; volatility at 20°C, 0.29mg/m 3 ; d 20 1.32; n D 20 1.4987; readily soluble in water, alcohol and acetone; slightly soluble in ethyl ether; almost insoluble in petroleum ether. Stability to hydrolysis: half-life period, 611 hours at pH 7 and 24°C. The velocity of decomposition of the active ingredient is essentially greater at higher temperatures or at Ph values 8-10. Acute oral LD 50 to rat is 30-60mg/kg, for mouse 30-40mg/kg; acute dermal LD 50 for rats is 1400mg/kg; Dreathing-in LD 50 for rat is 1520mg/kg 3 hour, TLM for fish (carp) is more than 500 ppm (96 hours). (3). Technical: 200kg/drum, 250kg/drum, or on the client's requirement. Omethoate is a broad-spectrum systemic in secticide and acaricide effective against aphids, woolly aphids, trips, sacle insects, caterpillars and beetles, especially on hops, and against wheat bulb fly. It also can be used on cotton, rice, fruit-trees, tobacco and other crops. the recommend at ory rate of it's application is in table followed. 1.Do not mix with alkline substance. 2.Send to the hospital whenever poisoned symptoms found, can be used. 3.Stored in normal condition, the period of guarantee quality is two years.